Why source your stock from Nitrotek? Nitrotek are one of the largest UK wholesalers of radio controlled models, micro scooters, micro quad bikes and electric bikes. We are now also selling ladies clothing, shoes and accessories. By buying direct from manufacturers in large volumes we ensure the lowest possible prices. We are always looking for shops and established online companies to sell our products. So why would any retailer want to buy from us? 1. We offer simply the best margins in the market to our trade customers. This alone should be enough for any retailer to become a dealer. 2. Our retail prices are amongst the cheapest, if not THE cheapest, prices available. This means you will sell more models while still making bigger margins! 3. Free next working day delivery (for orders received before noon subject to a minimum order value). 5. Unlike most distributors we do not charge any extra surcharges for credit card payments. 6. We provide easy online ordering. We are looking to partner with a small number of marketplace re-sellers. We can link to most main marketplaces, not just ebay and Amazon. We will link our system directly to your marketplace seller store so all the products are automatically listed and any orders are automatically imported. When you get an order we will deliver directly to your customer. This will save a lot of work for partners who will not need to worry about listing all the products, not need to waste time re-keying orders and not need to worry about keeping inventory levels up to date. We are only looking to work with a small number of re-sellers in each market in each country. IF YOU ARE INTERESTED PLEASE CLICK HERE AND COMPLETE THE FORM. Opening a trade account is easy. Simply download and complete the application form with your company name, address and details to us and we will send you a trade pack. Once you have received the trade pack sign and return the the trade agreement to us and that's it. You will then be given your account number and be able to place orders straight away. Nitrotek distribute products from many different factories all carefully selected for their great products, competitive prices and good quality. BIY Toys is designed by and exclusive to Nitrotek Worldwide. These are nitro and electric radio controlled model kits that the customer makes themselves. Like Meccano but actually fun to play with when finished! What makes these kits different to anything else on the market is that absolutely everything needed to build them is included in the box, even the tools, oil and grease. We sell these to shops but also to schools and colleges as they are educational as well as fun. Acme Racing are one of the longest established radio controlled car factories in China offering excellent value for money. The range is very big including models from 1/16th scale to 1/5th scale in both electric and nitro versions. 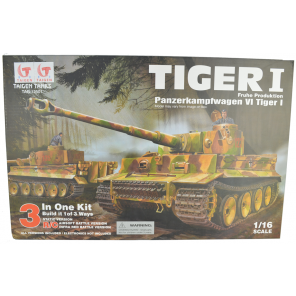 Their 1/10th and 1/16th models are perfect for entry level fun and with their new 1/8th range they have successfully moved into the intermediate / advanced market while still maintaining the lowest prices. HSP or HiSpeed are a quickly growing factory that has now become a market leader. Their range is growing all the time and now includes the full range of electric and nitro cars. HSP models are excellent quality and they also have an excellent design team working on their realistic body shells. HSP's 1/10th range are one of our best sellers. FS Racing are a big factory that manufacture a full range of RTR radio controlled cars. They are best known for their established range of 1/10th electric cars but are always adding new products to their porfolio. The FS models are excellent value for money with a lot of spec for your money. ShengQi or SQ for short, manufacture 1/5th scale petrol radio controlled buggies and trucks. These models run on a mixture of unleaded petrol and 2 stroke oil which is very convenient for customers making the models very popular. SQ manufacture their own engines in house meaning they can offer the models much cheaper than other factories that have to buy the engines in, many of they from SQ! The result is that SQ models are around half the price of other identically spec'd version. Walkera are one of the biggest radio controlled helicopter manufacturers in the world. They offer a full range of hobby grade helicopters from beginner level to expert. The helicopters look fantastic and the electronics are top notch making the helicopters fly very well. They are always leading the way in new rc helicopter technology and always bringing out new and exciting models. Skyartec specialise in single blade hobby grade helicopters. The helicopters are very well spec'd for the price with many aluminium and carbon components used where other manufacturers would use plastic. The Skyartec helicopters are great for customers who have had a toy 3ch or 4ch helicopter and are now looking to take the hobby a little further. All the helicopters come complete with training kits and flight simulators making them very popular. CopterX are at the top end of the market specialising in top of the range helicopters for advanced pilots. The helicopters are crafted from carbon and aluminium that shows off their CNC skills almost like a piece of art. Many of the parts are compatible with the Align T-Rex although the CopterX sells for around half the price! Our entry to intermediate level planes come from Dynam RC. There are a lot of plane manufacturers in China but not many good ones. The Dynam quality is far superior to other manufacturers and they have built a reputation for high quality low cost planes. Their Snow Bird and EZ Hawk range cater to beginners and make learning to fly easy while their scale and sport planes are the natural step up. Dynam manufacture their own high quality radio equipment which keeps costs down while ensuring high quality. Dynam models are sold to other factories who re-brand them and sell them for more but we give our customers the chance to purchase them from the actual true manufacturers at a lower price. Starmax are the market leaders in radio controlled jets. Their highly detailed and realistic appearance makes them very popular and their big range means there is something for everyone. Starmax have recently also started to manufacture large scale propeller planes using the same quality and detail that they used on their jets. Heng Long have the biggest range of rc tanks and are now one of the most well known brands. Their 1/16th range are particularly popular as they have built in smoke generators and fun sound effects. Their tanks are available in several configurations with a price to suit all budgets. Nitrotek have the biggest range of Heng Long tanks available for next day delivery. Brand new to the market are the Tai Gen tanks. These tanks look amazing and are finished with a special realistic paint job. The tanks are heavily upgraded with metal parts used throughout and they look as good as a die cast model. Nitrotek are one of the first worldwide to stock the Tai Gen tanks and they are proving to be very popular. We are sure Tai Gen will be the market leaders in a very short time. The above list gives the main brands we deal with but we also distribute products from many other smaller factories and offer a full range of radio controlled products and accessories. For our full current list get in touch and we will send you the details. We are now stocking a large range of petrol and electric powered scooters for adults and kids, mini petrol and electric quad bikes and full size electric bikes. To see our full range please visit www.scootercity.co.uk. By opening a trade account with Nitrotek you will also have access to all these products at wholesale prices. These are good products to sell along side radio controlled models as the target market is similar. By opening a wholesale account with Nitrotek you will also have access to the full range of clothing, shoes and accessories at Lovemystyle.com but at wholesale prices.